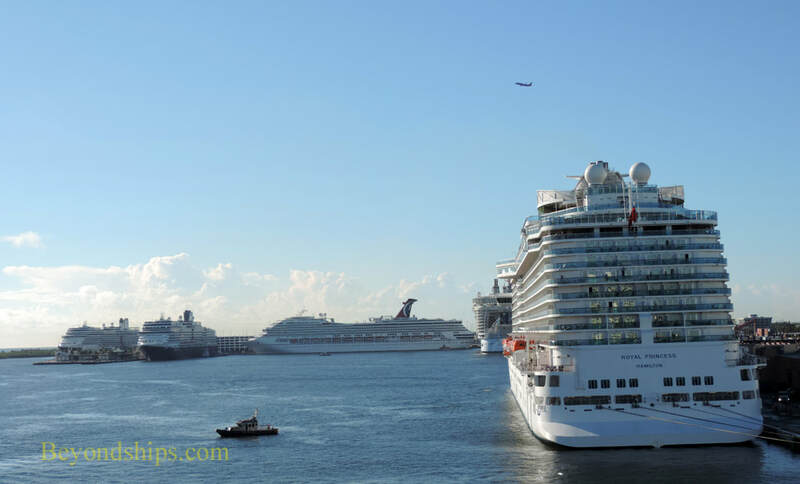 The cruise port for Fort Lauderdale is Port Everglades. 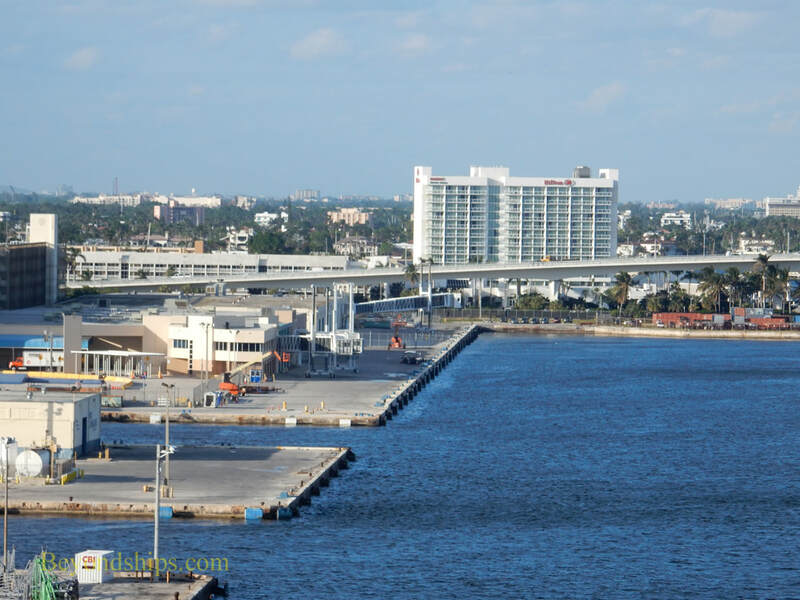 Although the port is often referred to as Fort Lauderdale, it actually encompasses land in three Broward County muncipalities: Fort Lauderdale, Hollywood and Dania Beach. Consequently, the port is operated by the Broward County government. 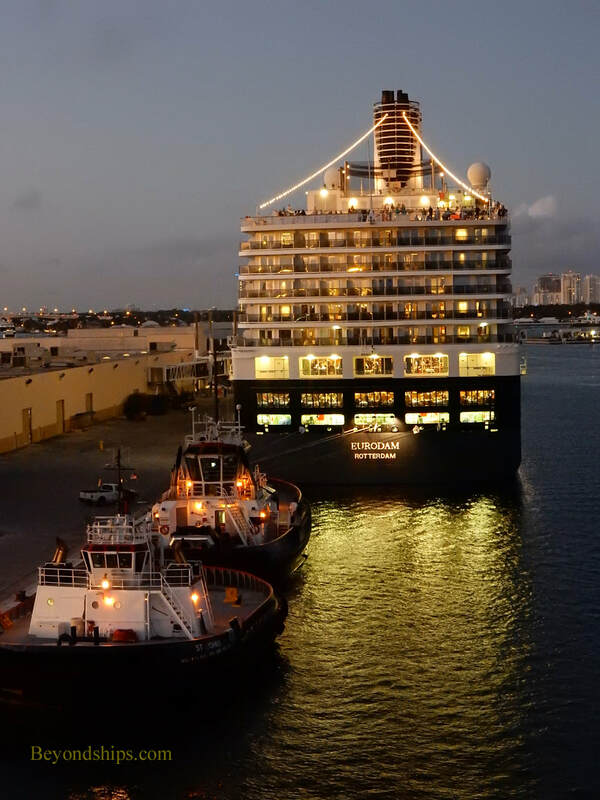 Port Everglades hosts some 4 million cruise passengers a year. As a result, the port is one of the three busiest cruise ports in the world. In addition to cruise traffic, it is also a busiy container port, a petrolem receiving center and it is not unusual to see military ships paying a port call. A man-made port, Port Everglades was created out of Lake Mabel, a natural boy of water that was separated from the sea. In the early 20th century, the lake was dredged and a cut was made opening the new harbor to the sea. The original intention was to use the port to ship produce. 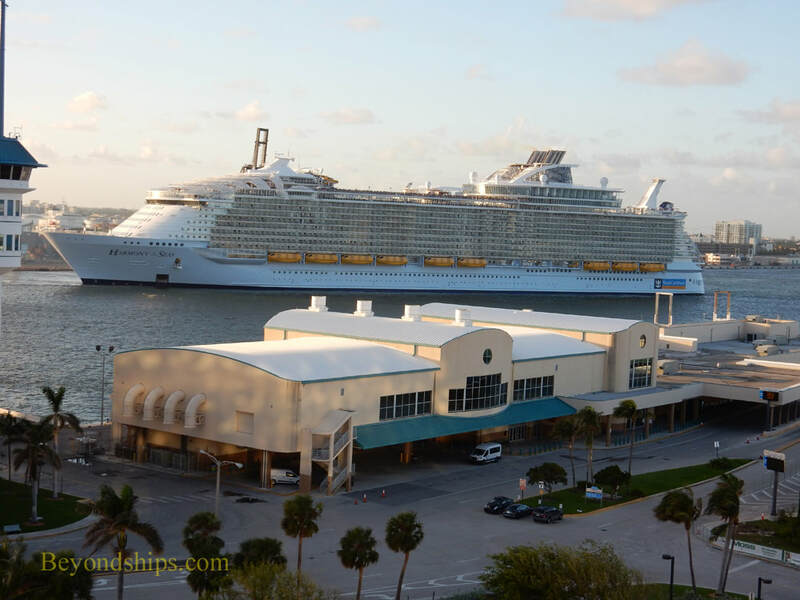 The port is primarily an embarkation port for cruises beginning and/or ending in Fort Lauderdale. 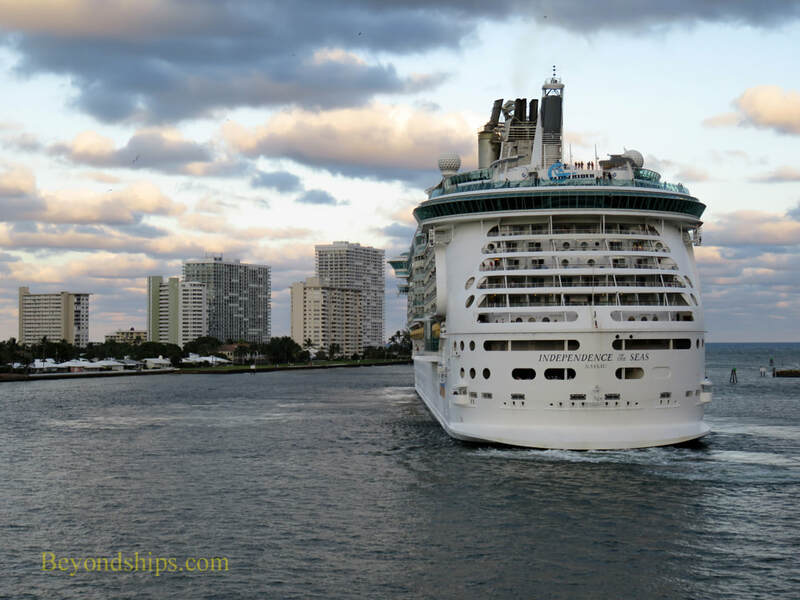 However, occasionally ships on a world cruise or ships which are based further up the U.S. East Coast include Fort Lauderdale as a port of call. 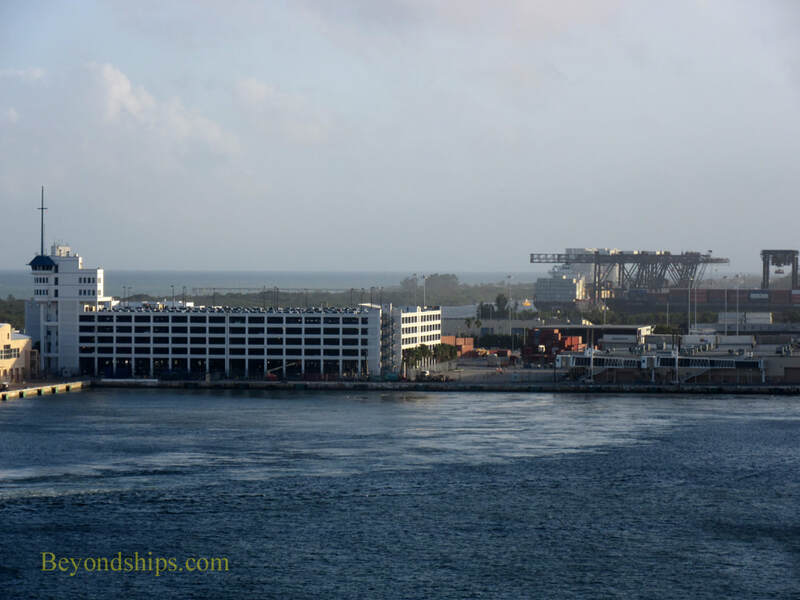 Port Everglades has nine cruise terminals. All of these are modern facilities. Indeed, included here are some of the most advanced and efficient terminals in the industry. All have free wi-fi. Most of the terminals are arranged aound a rectangular basin. However, three of the terminals are along a relatively narrow stretch of the Stranahan River, part of the Intracoastal Waterway. Both the basin and the waterway are separated from the sea by a barrier island and are parallel to the sea coast. The port is divided into two sections. The Northport section is at the northwest section of the basin. It includes Cruise Terminals 1, 2, and 4. A cargo area separates the Northport from Midport. Encompassing Cruie Terminals 18, 19, 21, 25, 26 and 29, Midport includes the terminals along the southern half of the basin and along the river. There are three entrances to the port, each with a security ckeckpoint. A road system inside the port connects the various terminals. The three terminals in Northport are close together, well within walking distance of each other. A system of sidewalks connects most, but not all, of the terminals in Midport. However, there is a gap in the sidewalk system between Northport and Midport. The cruise port has two multi-story parking facilities, the Northport Parking Garage and the Midport Parking Garage. The Northport facility serves Terminals 1 and 2 as well as the Broward County Convention Center and can handle 2,500 cars. The Midport garage can accommodate 2,000 cars and serves terminals 12, 21, 22/24, 25, 26, 27, and 29. (A shutlle runs between the garage and Cruise Terminal 29). There is also a dedicated parking lot with 172 spaces by Cruise Terminal 4. Cruise Terminal 18 has a 600 space lot. Another nearby lot is used when the other facilities in the Midport area are full. Cruise passengers also arrive and leave the port via shuttles and taxis. Most of the hotels in the area have their own shuttle or an arrangement with a shuttle service to take guests to the cruise port. For disembarking passengers, there are shuttles running to the airport. Taxis also meet arriving ships. Uner and Lyft are also licensed to operate at the port. The Fort Lauderdale Hollywood International Airport is visible from the cruise port. Indeed, sharp-eyed passengers flying in and out sometimes spot their cruise ship from the air. Cruise passengers also use Miami International Airport 27 miless to the south and Palm Beach International Airport 50 miles to the north. Fort Lauderdale's Amtrak station is northwest of the port near the I-95 interstae highway. 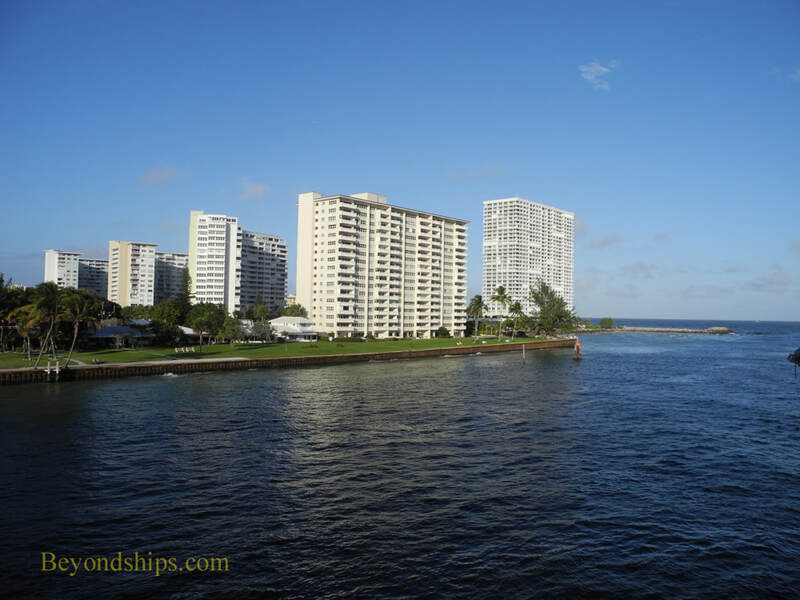 There are numerous hotels in Fort Lauderdale ranging from economy mass market hotels to luxury resorts.. Several hotels are located close to the north entrance to the port. Above and below: Access to the sea from the cruise port is through a cut first made in the 1920s. Above: The northern end of the cruise port is called Northport. ​Below: The southern end is called Midport. Above: Harmony of the Seas coming about in the main basin before going to sea. Below: Eurodam preparing to sail from one of the berths along the Stranahan River.